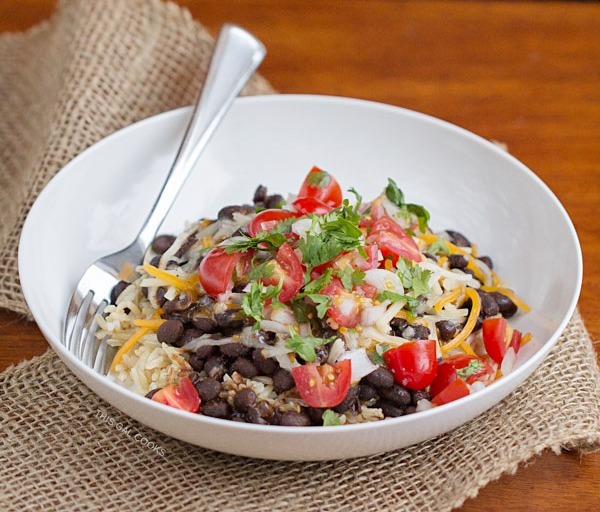 Whip up a quick dinner in under thirty minutes with this Easy Vegetarian Taco Bowl recipe. 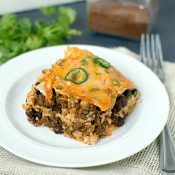 Made with brown rice, black beans, fresh homemade salsa and shredded cheddar cheese. No joke, yo. I scrounged around the pantry and the fridge then threw this dinner together in under 30 minutes. It was a Monday night. Ken wanted pizza. Not a surprise; he always wants pizza. Unfortunately for me, his choice of pizza establishment was in the less than stellar section of my pizza book. I didn’t really want pizza anyways. I’m not much of a pizza gal myself. Of course, I like pizza. I like to make it with a savory beer crust and bake it in a cast iron skillet. I like to order it from cute little Italian restaurants that make pizza pies piled high with meats and veggies. And M-E-A-T-B-A-L-L-S. Meatballs on a pizza make this gal swoon. But I wasn’t digging the idea of biting into a pizza from the better pizza, better ingredients folks. So I made this Easy Vegetarian Taco Bowl. The mood: kind of lazy. The craving: Mexican food. The dilemma: too lazy to even get in the car and drive to Chipotle or Tijuana Flats. The lightbulb moment: realizing I probably had all of the ingredients needed to make some sort of taco bowl. Need a quick breakdown of how to get this from pantry to your belly? Get stuff from pantry and fridge. Cook rice in a rice cooker or on the stovetop. Make fresh salsa. 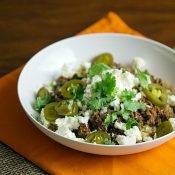 Cook beans with taco seasoning. 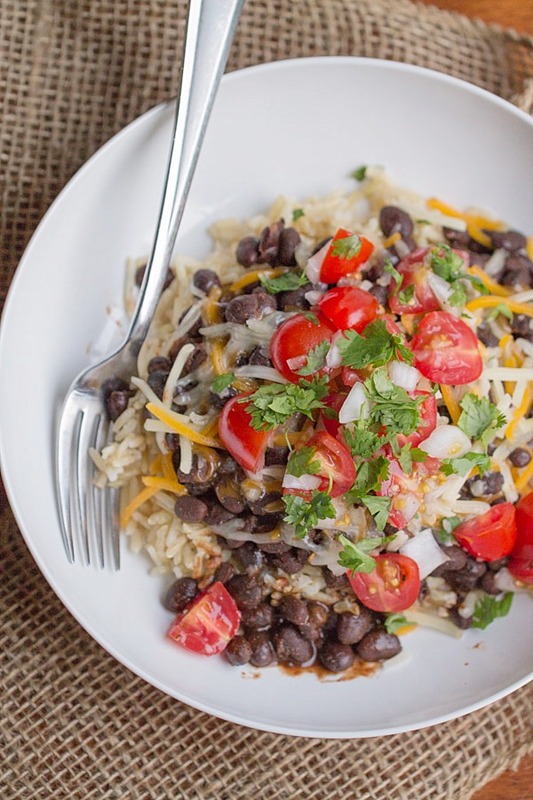 Place rice, beans, cheese, salsa, cilantro in a bowl in that order. Top with sour cream and lettuce to make it extra special. Fork, mouth, belly. Now you’re satisfied. Meanwhile, drain the beans, reserving a little of the juices from the can. Add the beans and reserved juices to a medium sauce pan and heat over medium heat. Mix in taco seasoning. Make the salsa. Mix together the tomatoes, lime juice, salt, pepper, garlic, onions and 1 tbsp cilantro. By now, the rice should be done. Remove from the rice cooker and place into two bowls. Divide everything else up between the bowls, add desired toppings and enjoy. If you're eating this solo, as I did, just put the beans, rice and cheese in a storage container. Heat and top with desired topping when ready to eat. If you're going to take it to work for lunch like I did, I just packed my toppings in little storage containers for easy transportation. Love 30 minutes meals, especially when I already have all of the ingredients! Brad is a huge pizza fan too, and while I love pizza, I can only eat it every once in a while. 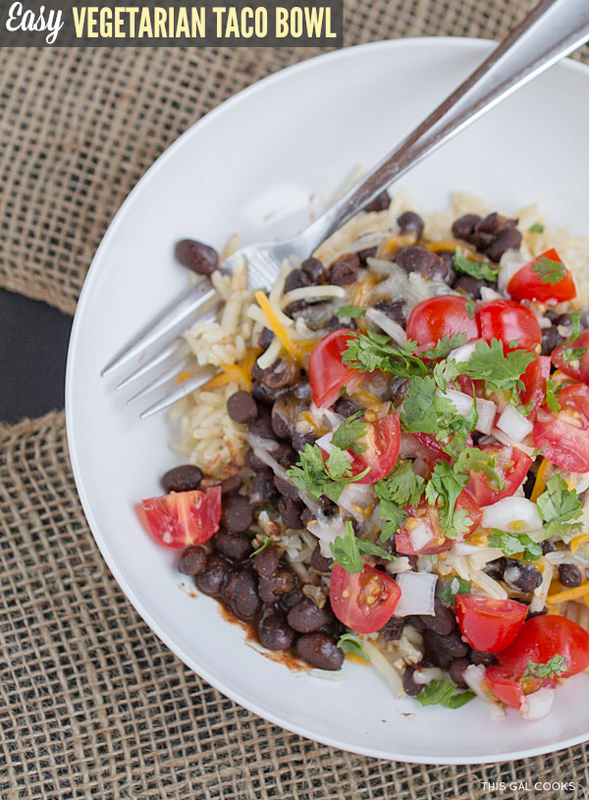 This recipe is a great alternative to Chipotle when I’m too lazy to go out! Yum! This looks delish. I love all of the colours and textures. Julie, your pictures make this dish look even more delicious! 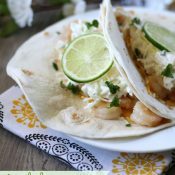 This is one of my favorite, simple and quick dishes to put together for dinner, the fresh lime makes this meal complete. YUM! Hi Julie – This looks so fresh and delicious, plus love that you can put this together in 30 minutes. Definitely need that during the week! Thanks for sharing the recipe and pinning! Hope you’re having a great week! Hi Cindy! You’re very welcome. Thank YOU for stopping by. Always good to hear from you. :) Hope you have a lovely weekend…cause it’s almost here! Yay! I love meals that come together quickly and are hidden right in your own pantry! These looks scrumptious! I love quick dishes on week nights. This looks really fresh and tasty Julie! Pinned. This looks so much better than pizza I tell you! And the fact that it is so easy to make is amazing too- I’m dying to try it!